With SharePoint 2019 on the horizon, you may be considering upgrading. If you are using ExCM for your extranet needs, then you may wonder about the process and how involved it is. 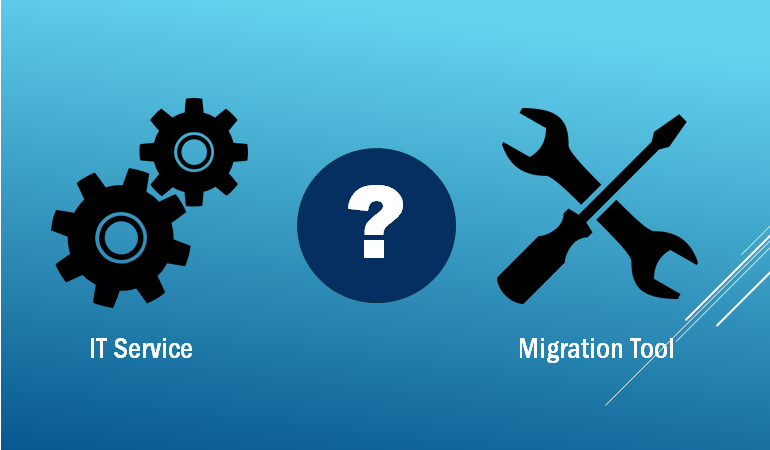 Hopefully, with the help of this guide, you will see that the ExCM migration may be the easiest part of your upgrade! If you are still leery, contact us about our migration assistance package and let us walk you through migrating ExCM. 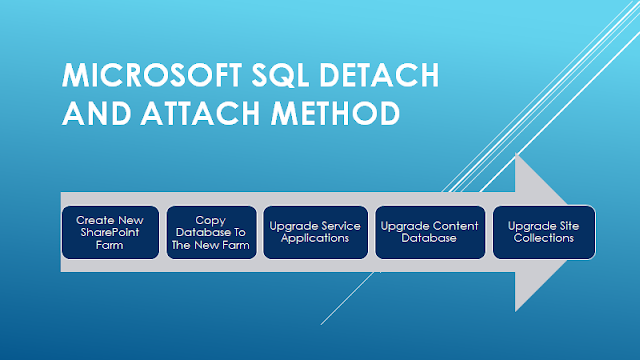 Whether you are going to follow Microsoft’s detach/attach method for migrating, or you will be using a tool such as Metalogix or Sharegate, the process is mostly the same… there are just a few extra steps with Microsoft’s path. The first step of your migration is to build out your new SharePoint environment. When building the new environment, you will use the same web app name, URL, database name, role and role provider, etc. Basically the same structure, just a different version of SharePoint. While you will have the same names, the content will be empty. For example; If you have an extranet at www.mycompany.com/site/home, the page will still exist, but there will not be any subsites or content on the site. At this point, you should be able to browse out to the root site collection and a page should load. When you have the new version of SharePoint installed and looking like your old SharePoint environment, The next step is to install the correct version of ExCM in your new environment. Once installed, configure ExCM with the same settings as your previous version. If your new environment is using a new SQL server, name the database created during the setup Wizard the same as the old database. This way, once you have tested the installation of ExCM, you can simply delete this blank database and migrate the previous database containing all your extranet users over. If you are not using a new SQL database, you will need to name your database something similar to the original database name (ex. Instead of ExtranetDirectory you may use ExtranetDirectory1) This way, once you have tested your new environment to ensure the install was a success, you can delete the ExtranetDirectory1 database and change your web.config file so that all references to ExtranetDirectory1 now point to ExtranetDirectory. We have had many customers that have migrated from 2010 or 2013 to 2016 and whether they are using the detach/ attach method or a migration tool the biggest issue we have seen them run into seems to be an issue with the transfer of registration fields from the old ExCM to the new ExCM. This can be caused by having the wrong settings in the migration tool that prevent the content database from fully transferring the correct data. Whatever the reason the fix is pretty easy. After transferring the content data to your new ExCM environment you can delete the registration and then recreate it. To help lead you in the right direction we have provided a couple of links to PremierPoint Solutions documentation on migrating from SharePoint 2010 to 2013 and SharePoint 2013 to 2016. The primary thing to remember when migrating is to have a plan laid out and always make backups when possible. When using SharePoint as an Extranet, you will have many options and decisions to make and we hope to share some insights that we have seen from several years of working on SharePoint Extranets day in and day out. Can you ignore some of these suggestions? Probably, but we only do this for a living… what do we know? So, with that being said here is a list of our recommended best practices for installing and using ExCM. If your extranet will be hosted on the same SharePoint Farm as your Intranet, we recommend a separate web app for extranet. This is one of the first steps in creating a secure extranet that is also easy to use. You can follow our documentation on Setting up a Web Application for your Extranet. An SSL certificate, commonly known by the name Secure Sockets Layer, is a standard security protocol that’s used to ensure the safety of transmitted data over the Internet. Basically, when you use SSL certificates, an encrypted link is created that protects the connection between a browser and a web server, or between computer systems. 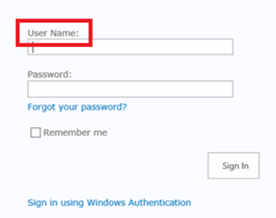 This means that your external user can type in a password and know that it is securely being transmitted. You would think this step would be self-explanatory, but we are including it as it has come up before. Why you should use an SSL. Not all of the out-of-the-box features of SharePoint are intended to be used in every use case. For Extranet use cases, there are several user interface (UI) elements and features that are primarily intended for Intranet use cases and therefore we recommend removing them from your Extranet web applications. Below are some links to help you accomplish this in your environment. 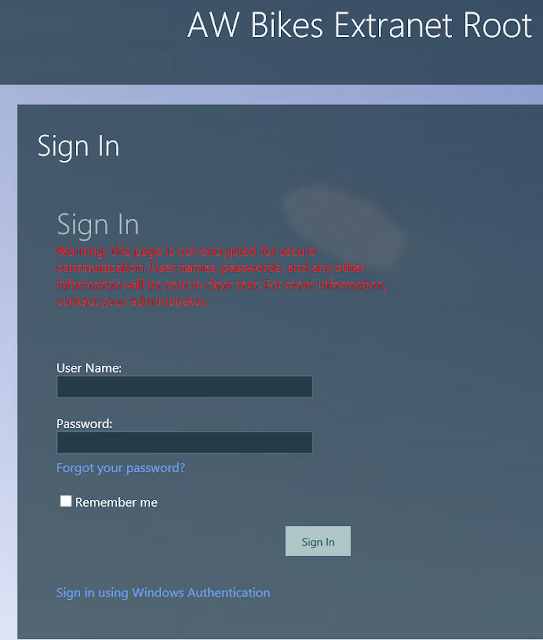 When implementing Extranet Calibration Manager (ExCM) 2016, 2013 or 2010, we recommend using an extranet web application that is configured to use multi-mode authentication (as opposed to using an extended web application, as was the common practice with SharePoint 2007/2010). Active Directory is used as the authentication provider for internal users (your employees) and the ASP.NET SQL Membership Provider is used for external users (your customer, vendor, or other collaboration business partners). 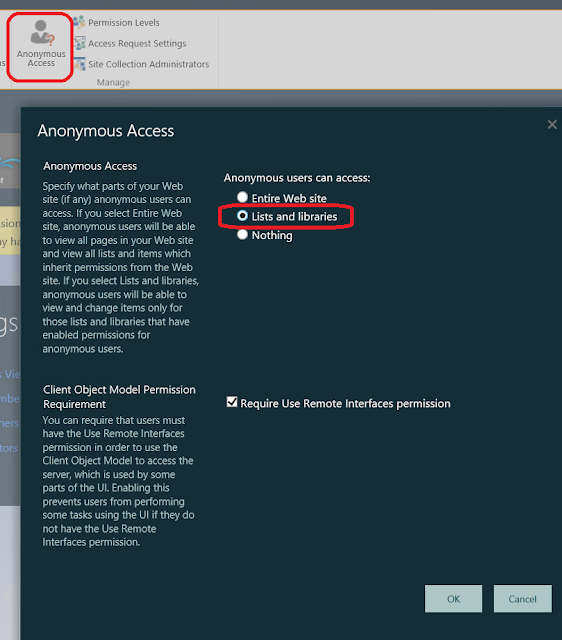 Install and deploy ExCM 2016 or 2013 R2 on your Central Administration server AND the Microsoft SharePoint Foundation Web Application service must be started on that server and remain started. In this configuration, the anonymous master page provided by ExCM will be applied. This page has a very “vanilla” look as you can see from the screenshot below. 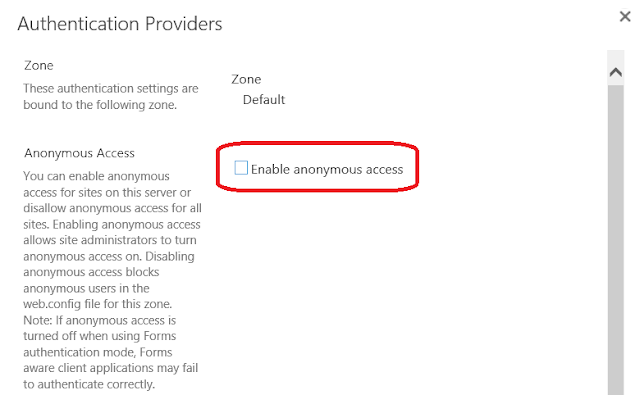 Anonymous Access is not enabled on either the Web Application or the IIS site itself. 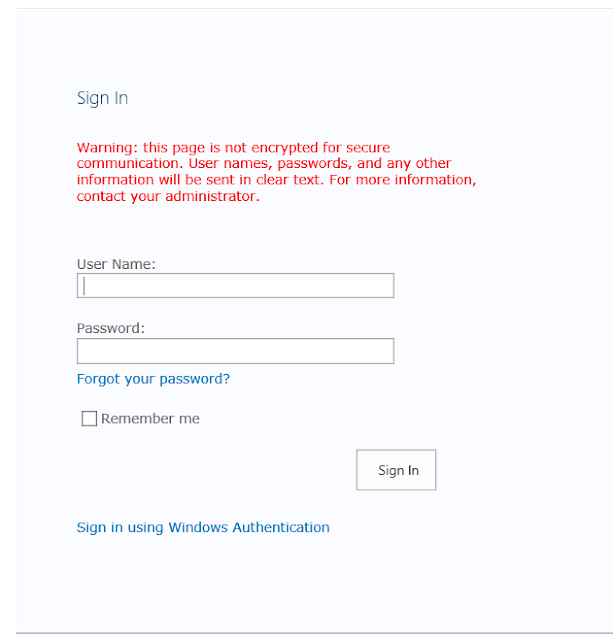 In addition, if a subsite or subsite collection is using a separate master page, each page will inherit the same look and feel (registrations that occur at the http://extranet.awbikes.com/sites/acme site will use the AWBikes master page). In summary, Extranet Collaboration Manager 2016 provides multiple options with regard to the master page you can use. The best solution for your deployment will depend on your specific needs with regard to the overall look and feel of your site, as well as the requirements for Anonymous Access. We always recommend you create a site collection for every extranet site you create. There are many reasons why this is the preferred method, however, some of our customers have found that multiple levels of sub-sites are best for their environment. These customers still want to use ChangeBot to automatically create sites, add users, and other general maintenance items on these nested sub-sites but run into an issue with how to populate the URL. 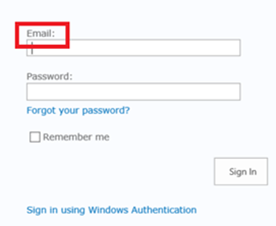 Do you allow your users to manually enter it and possible have a typo? Below are the steps for setting up your ChangeBot Request Profile so that you can successfully build your Relative URL and provision a site at a subsite level. In the steps below, we have two variables that can be populated with a drop down box (Inputs.Subsite and Inputs.SiteTitle) and the key to making it work correctly is in Step 10... using $inputs.Subsite/$Inputs.SiteTitle to define our Subsite and sub-subsite title to form the URL.